At ARTREACH Pte Ltd, we have a vision of bridging people and art. That's why, we are more than just an arts management company - we create opportunities for those within the art world to connect with each other and with those outside the industry. We specialise in providing an end-to-end solution for art events. From conceptualisation and support, to execution and post-mortem management, we offer a complete service. 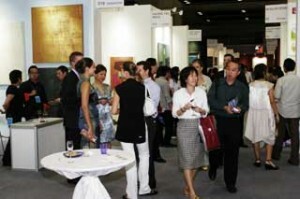 Galleries, art institutions, art associations, artists and experts from all over the world have come together at the events we have organised, such as the annual ARTSingapore - The Contemporary Asian Art Fair.